Leather Feather Earrings are all the rage for spring 2018! This brown leather version has just the right amount of metallic shine with the touch of gold. 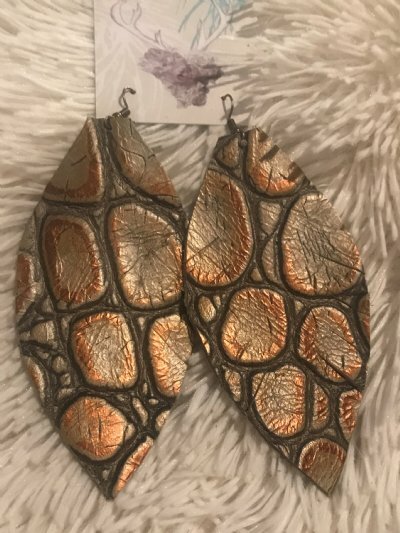 Total Earring length 4.5". Very light!